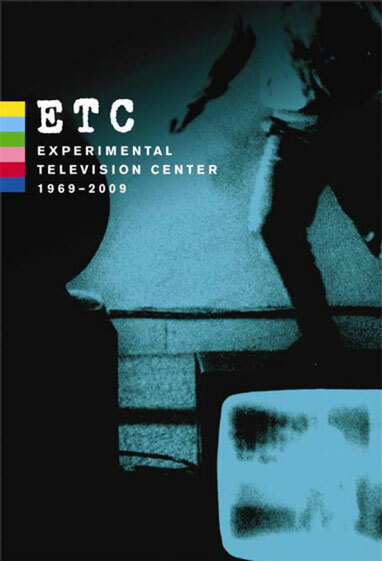 The Experimental Television Center is pleased to announce the upcoming release of ETC: Experimental Television Center 1969-2009, a five DVD set presenting the electronic media work of over one hundred artists who have worked in the Center’s Residency Program during the last 40 years. The collection offers a look at the evolution of the unique artist-designed sound and image tools that are the hallmark of the Center’s studio and provides a view into the constantly changing artistic processes and practices that have shaped the work over the years. The set is being distributed by Electronic Arts Intermix. Video art began to develop in the US in the late 1960s, with the introduction of new portable video tools. While many artists used the technology to document and have voice in social and political issues, others collaborated with technologists to design unique instruments which allowed the creation of imagery never before seen. ETC remains dedicated to the development of video and digital instruments in the service of creative visual and sonic investigation by artists from around the world. This set contains works by the first generation of video and film artists – including Barbara Hammer, Gary Hill, Jud Yalkut and Aldo Tambellini - as well as contemporary works by Marisa Olson, Kristin Lucas, Lynne Sachs and Mark Street. The complete list of artists is below. A 132 page catalog is also included. The works have been widely exhibited internationally and received awards from festivals around the world. For about 40 years the Center has offered programs in support of the media arts, offering an international residency Program, grants to individuals and media organizations, and sponsorship assistance for independent media and film artists. The Video History Web is an online resource for scholars concerning the formative development of media art and community television. An essential component of the project, the digitizing of early video works recorded on obsolete formats, was performed through the Standby Program by Bill Seery. We also wish to recognize Maria Venuto and Kelly Spivey for their contributions. The newly digitized ETC works are archived at Cornell University Rose Goldsen Archive of New Media, to be made available to the public for research purposes. This project has received support from the Digitization Project Grants Program at the New York State Council on the Arts, mediaThe foundation, and the Daniel Langlois Foundation for Art, Science and Technology. The project manager was Aaron Miller. The art designer for the project was Diane Bertolo. 5 DVD set, with 132 page catalog. Total running time: 19 hours.